The air has chilled, the patio furniture has been packed away and if you want to look at flowers you will have to rely on the ones you have indoors. 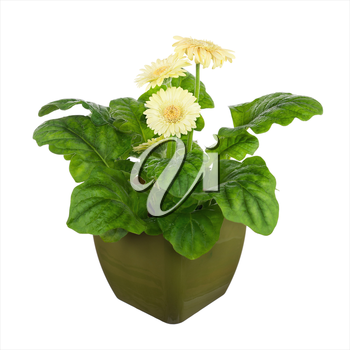 Here's a photo of a lovely potted gerbera daisy. At this time of year there's nothing like a pretty bouquet of flowers to bring sunshine into a home. 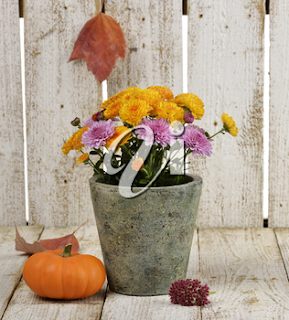 As the last colours of autumn will soon fade away, here's a pretty picture of colourful potted mums with a pumpkin. 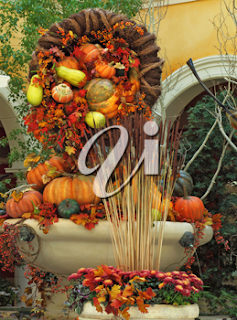 We don't think of flowers in autumn the way we do in spring and summer, but this gorgeous photo of a hotel lobby arrangement proves there's still a lot of beauty to enjoy. 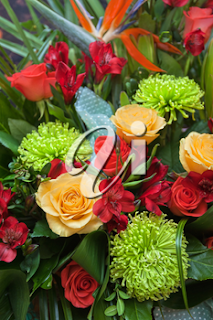 With the autumn nip in the air there's nothing more uplifting than a beautiful bouquet of flowers. Here's a photo of a lovely wedding arrangement.